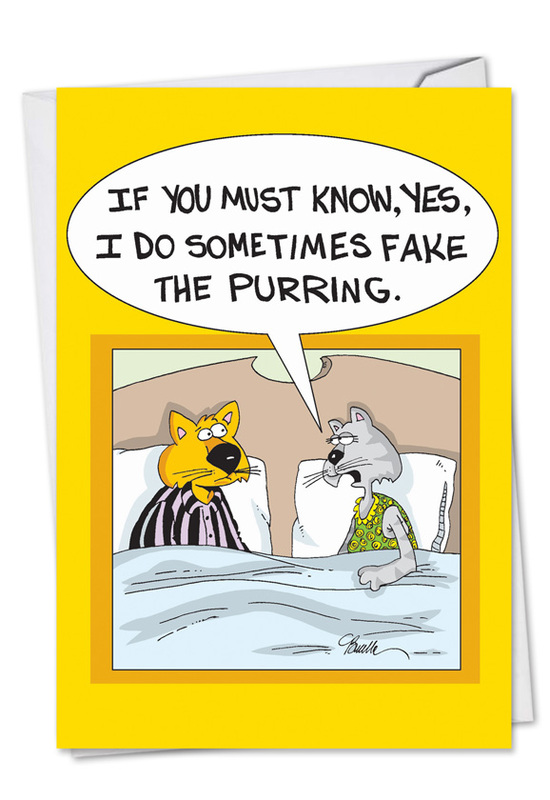 Cover Reads: "If You Must Know, Yes, I Do Sometimes Fake The Purring." Inside Reads: Hope Your Birthday Is Purr-Fect! 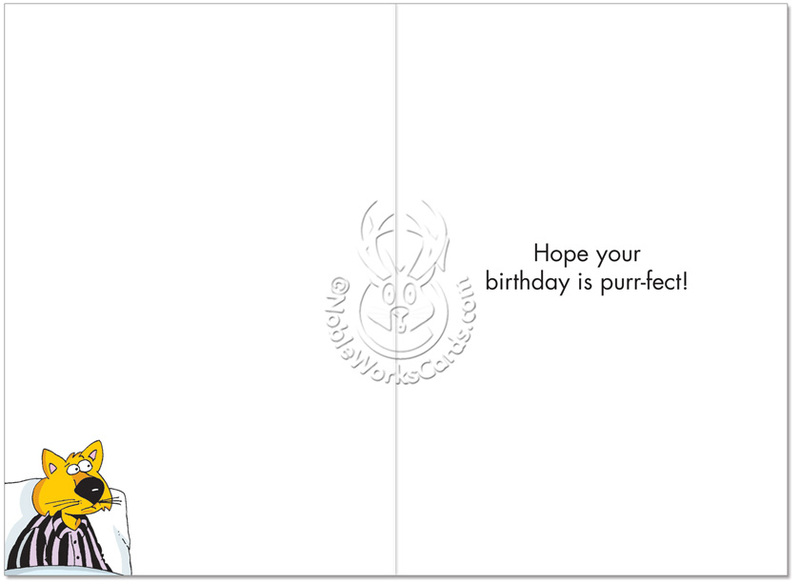 Nothing is more purr-fect than a satisfying climax, and the laughs generated by the Fake Purring Birthday Joke Card available at NobleWorks Cards will be nothing short of orgasmic. 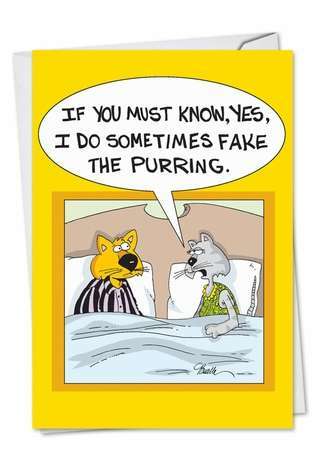 This ribald and risqué greeting card illustrated by Martin Bucella and printed in the U.S. on card stock recycled from mixed sources pushes the envelope way past most acceptable standards of decorum to suggest that some kitties are not as satisfied in the bedroom as they'd have you suggest. This feline might be a faker, but there'll be nothing fake about the authentic laughs this dirty birthday card will generate from your recipient. 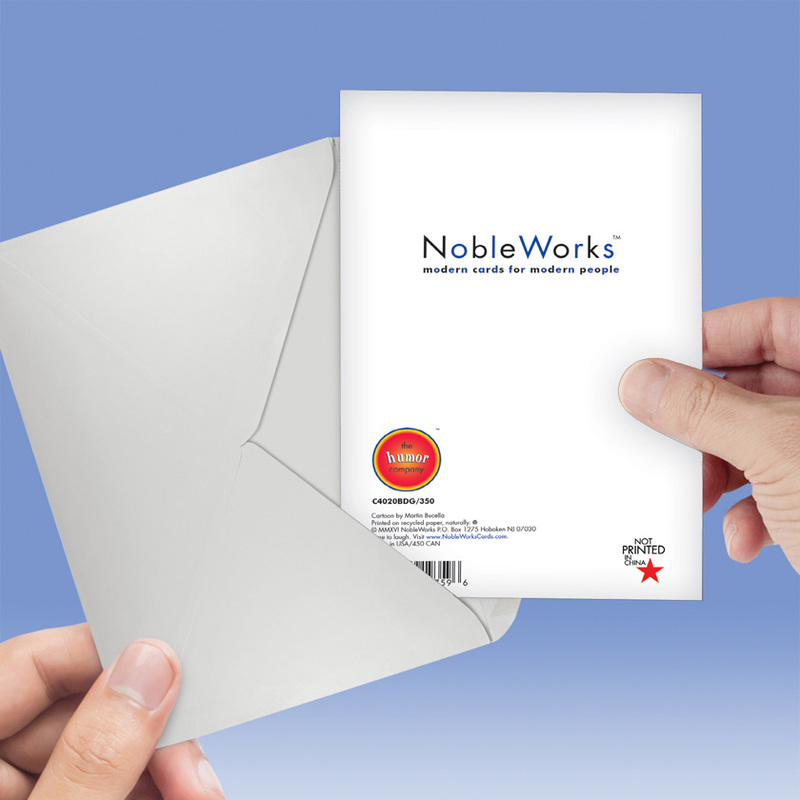 The card is available with free shipping from NobleWorks Cards, which offers bulk rate pricing when you order more than one card.